Do you need an excuse to buy a rose? I did hesitate, for 48 hours with this one since I don’t have any room at all to plant anything until I get the clearing done. But a combination of desire and summer half price madness made me return and bring it home. It was partly because the flower shone out like a beacon in the miserable landscape of the garden centre. August is always a tough time for garden centres. Everyone is on holiday and they have done all their planting so don’t need to buy anything apart from cake and coffee. So most of the plants are looking really dire. The remains of bedding plants are struggling to cope with their small pots and lack of feeding – they cannot live on water alone – and it is only in the best centres that earlier-flowering shrubs and perenials are deadheaded or pruned. It really can look like God’s waiting room for plants. On the other hand, sales to attract anyone that might be interested in plants rather than pot pourri can be a place to get some bargains. So although this rose may have stayed where it was if it was full price, at 50% off it was just too nice to leave. And the name intrigued me! I did not know it and, to be honest, those fully double flowers in such a rich apricot gold and slightly strange ‘tea’ fragrance were interesting too. The colour looked so good against the mid green leaves which are slightly glossy. So I bought it first, asked questions later. 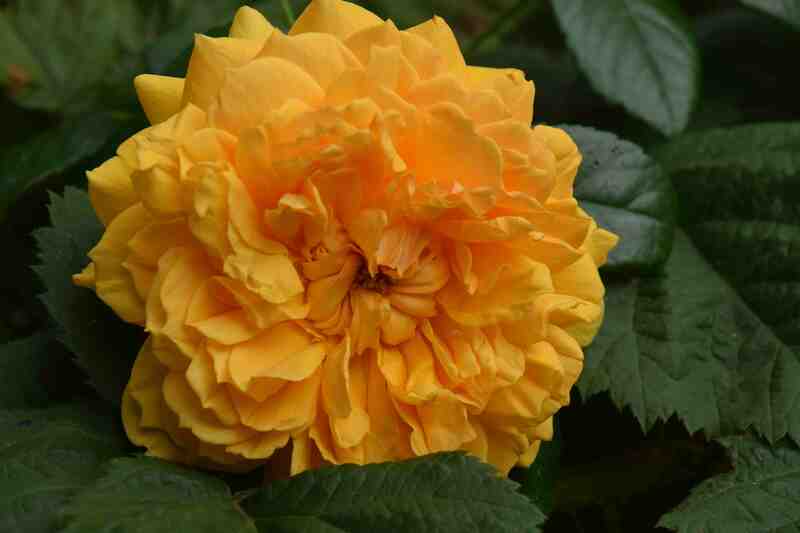 It turns out that not only is this not a new rose but it also has nothing to do with some Victorian ballerina’s garb! It was introduced in 2009 and was named for the wife of Archbishop Desmond Tutu who also had a (red) rose named after him at the same RHS Hampton Court Palace Flower Show. 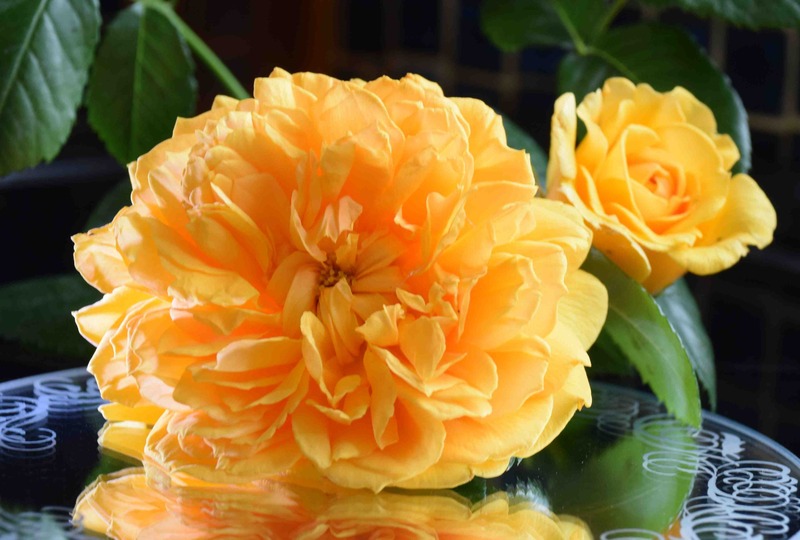 It was raised by Colin Horner (rose is officially Hornavel) and introduced, and still sold by, Peter Beales Classic Roses, Norfolk. It is said to grow to about 1.2m high and slightly less across and to be suitable for warm climates which may be a clue to that ‘tea’ smell. The colour suggests that too somehow. I love the button-centred flowers and the mass of small petals. 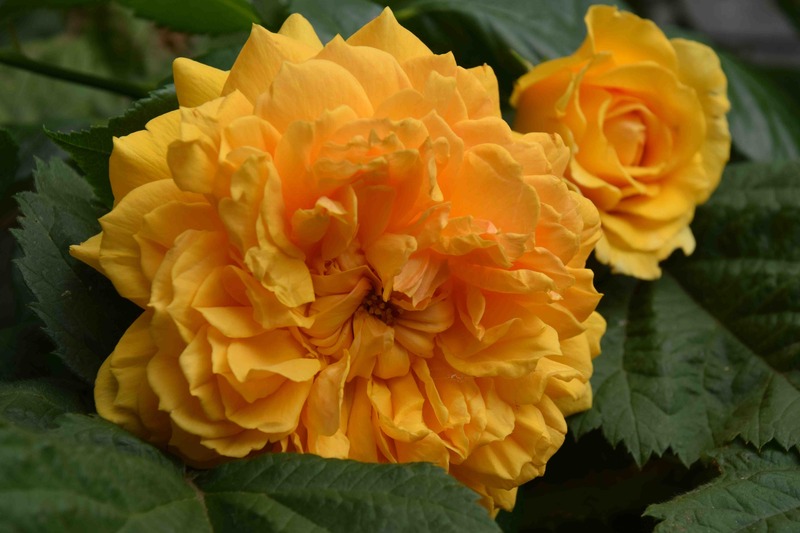 It is a modern shrub rose that needs pruning like any other Cluster-flowered rose. On my potted plant each stem only carries one flower – I am not sure if that will be the case when it is planted out and grows more strongly. It is far too early to rate this but it has received the RHS AGM so it can’t be too bad! what a bargain I also would haxe bought at half price . love the colour . I think buying roses must be like adopting a pet…. you go to the shelter and the pet adopts you, not the other way around! lol – yes. That is very true. Just as I went to the cat shelter to get a ginger tom that i saw they had and came home with a black one with big eyes! Yes a clear yellow rose at this time is just perfect. Thank you, I hope you have room for that!